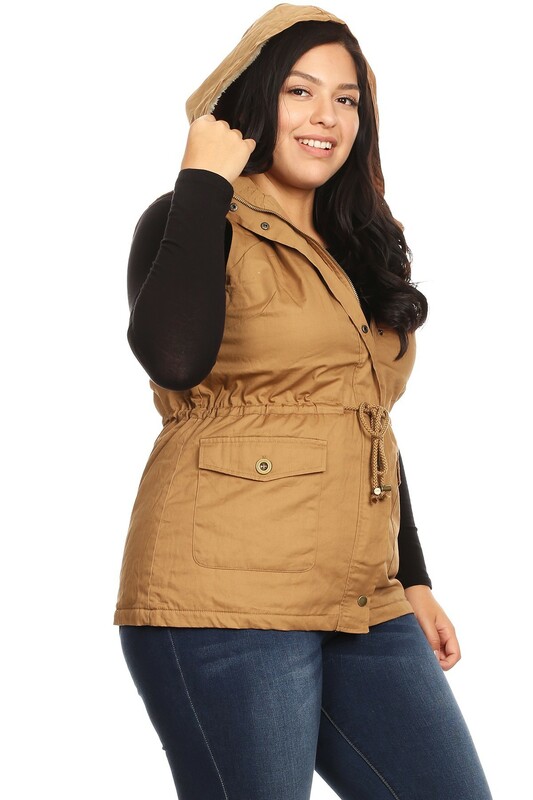 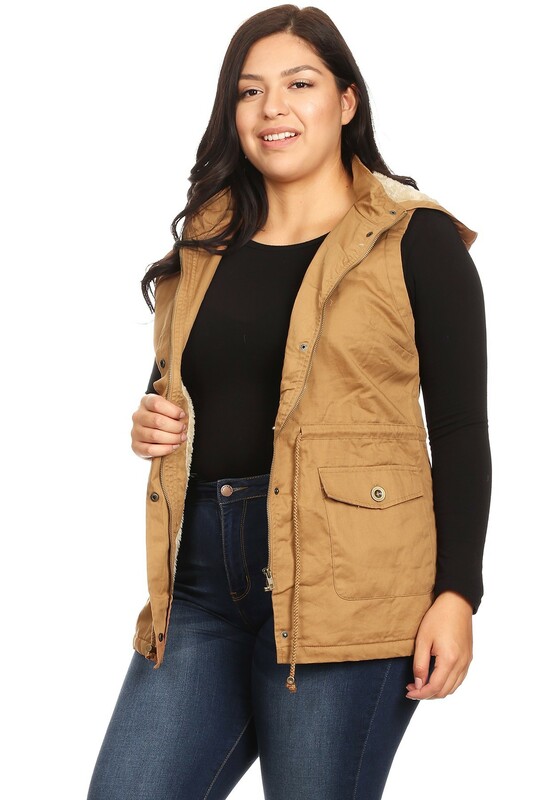 Description: Solid, faux fur lined vest with hood. 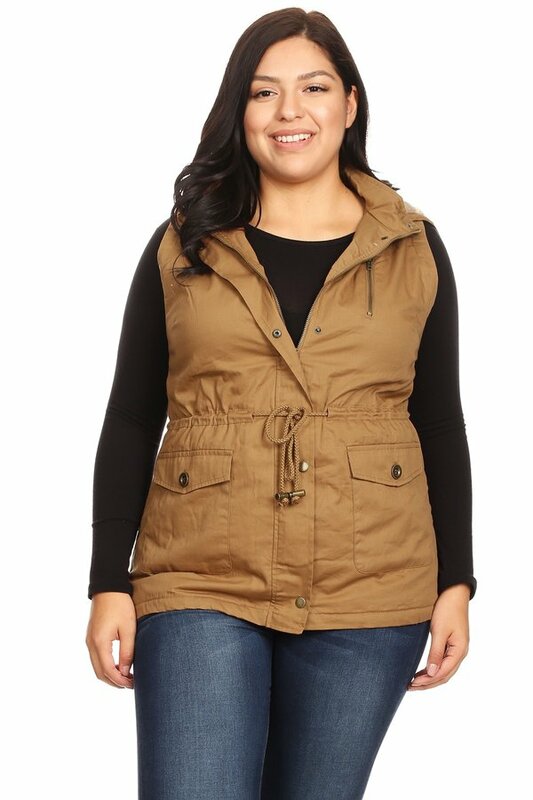 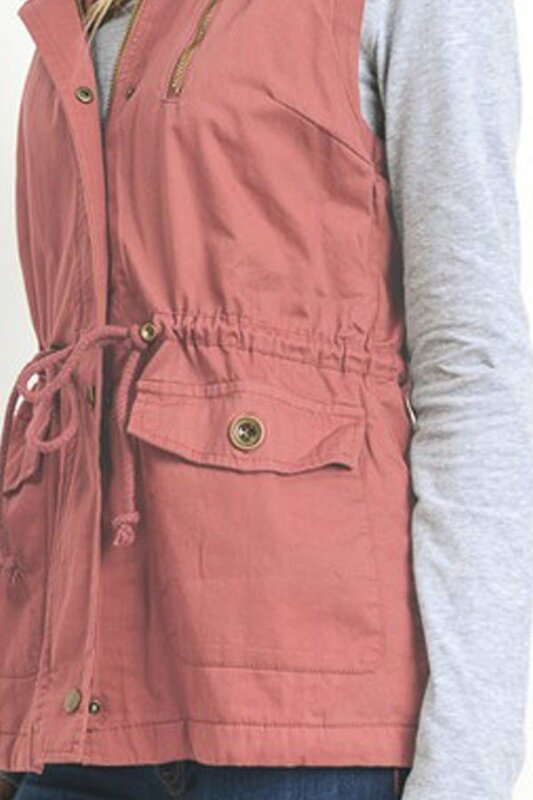 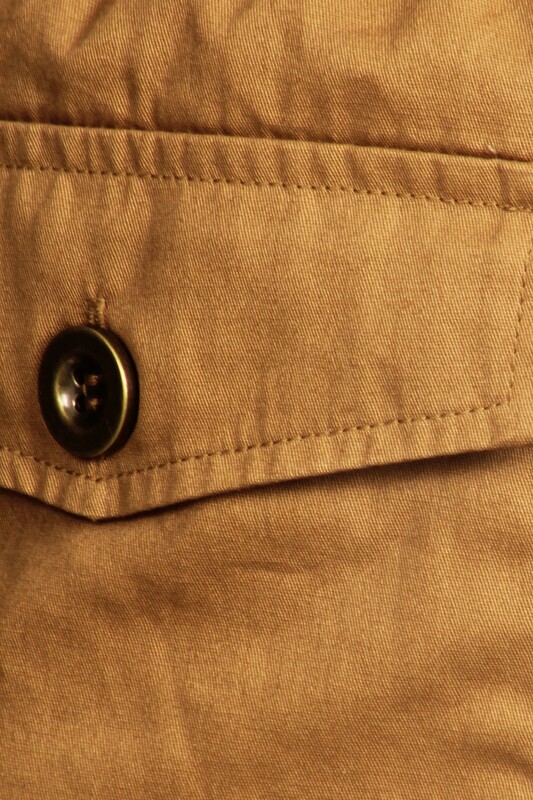 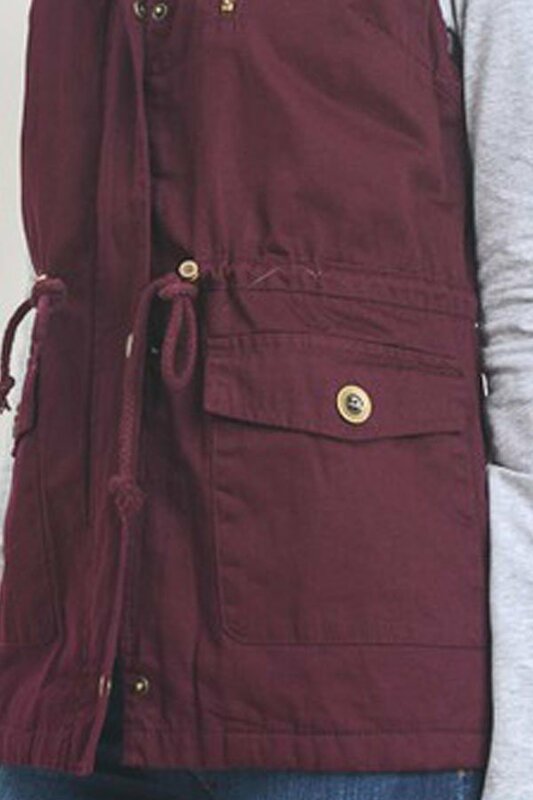 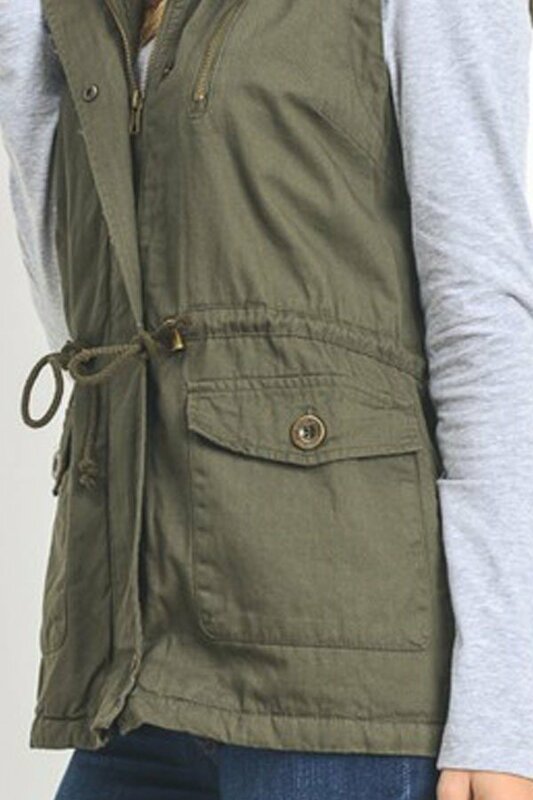 Has buttons and zipper closure, drawstring waist tie, and front pockets. 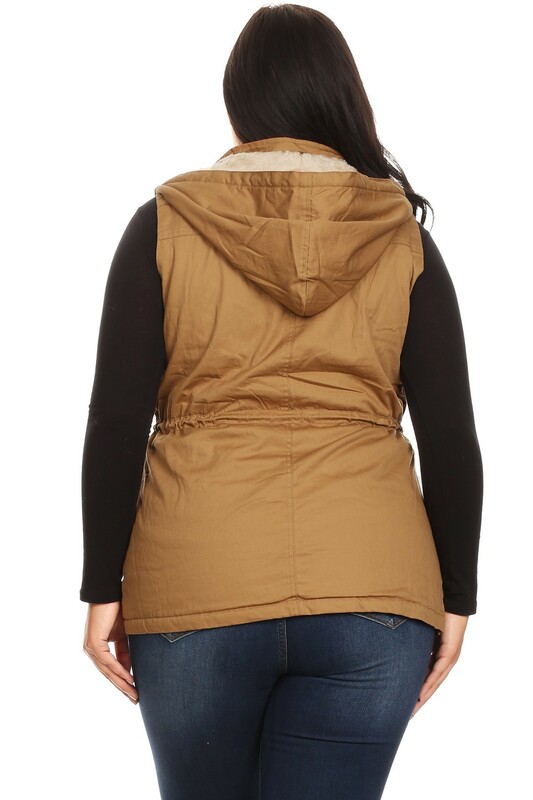 Comment: In packs of 1XL, 2XL and 3XL (3-2-1) per color only.